JWeber Creative – Creative on purpose. Being creative makes us different; knowing how to use creative, makes us unique. Since JWeber Creative opened its doors in 2002, the advertising world has changed. Digital media have transformed the way businesses communicate. Unlike traditional advertising agencies, we haven't just tagged on digital media to our capabilities, we’ve integrated it for the sole purpose of works for the brand. Our multi-channeled approach to strategic planning and implementation combines the most dynamic print and digital mix to accomplish your brand marketing goals, yielding on-budget, on-time creative solutions that surpass expectations. 74% of all internet traffic in 2017 will be video. 51.9% of marketing professionals worldwide name video as the type of content with the best ROI. We're fueled by a passion for the kind of creativity that drives client success— not incrementally, but radically. With VIDDUO you can create two powerful pieces of video content for your business with a simple process and convenient monthly payment plan. 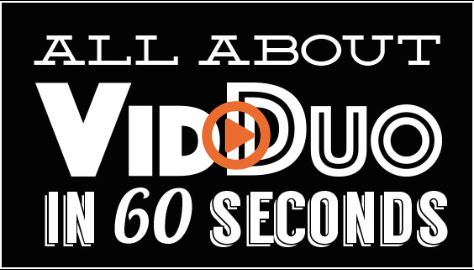 See what VIDDUO has done for businesses like yours!